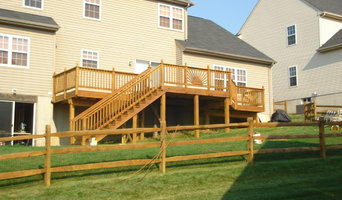 For over 35 years Joe DeShayes has been designing and building award winning landscapes in the Tri-State area. Utilizing a background in Landscape Architecture and years of practical construction experience, Joe has found that form follows function and that most importantly spaces must work to achieve a client’s objective. The best way to meet the clients objective is through a well thought out plan that can be as simple as painting out bed lines, marking plants for removal and renovations, and indicating where new plantings will go; to as complex as a detailed master plan. When considering a master plan for your property it is essential to go through a design process that explains many possible solutions and gives you a complete understanding of design principles. This way, you can make educated design decisions to ensure the best possible design solution for your property. Snapsports Mid Atlantic has proudly been the exclusive Snapsports Athletic Surfaces dealer for 8 years. A division of Superior Play Systems, the Mid-Atlantic's premier recreational products supplier for a quarter of a century, Snapsports Mid Atlantic prides itself on offering not only the most technologically advanced products but the highest level of customer service in the market place today. 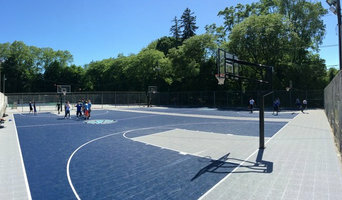 Sport Builders is a premier tennis and basketball court construction. Address: 1631 Locust Street Suite 300 Philadelphia, PA 19103 Phone: 215-870-3138 Among top real estate teams in Philadelphia, Team Whetzel stands out for professionalism, diligence and exclusive connections. Team Whetzel redefines the business of realtors in Philadelphia by fostering a culture in which all of our clients and listings are represented in a collaborative environment. Our agents share their knowledge, spheres of influence, contacts and expertise, thus those who choose our Philadelphia real estate team will have better representation and a true competitive edge. Consistently voted a top real estate team in Philadelphia, Team Whetzel knows what it takes to close the deal on that perfect new home. Let this top real estate team in Philadelphia help you in your next acquisition or sale. QuickBooks Customer Service is an independent QuickBooks Technical Support Provider Company offering online technical support to fix QuickBooks issues. To get help for how to adjust negative inventory in QuickBooks call at +1-800-979-2975 QuickBooks customer service number. Weiner's Mobile Estates offers mobile homes, modular houses, manufactured buildings, prefabricated estate dwellings and more. Contact us for pre-buying sales questions. We manufacture and distribute throughout Pennsylvania and New Jersey. Our holistic drug & alcohol detox programs & residential, inpatient rehab care offer long term addiction recovery at our New Jersey and Massachusetts centers. Moving Company Parsippany earned a positive rapport after many years of hard, dedicated and entirely commited work. People give examples of our top quality offerings and recommend us as their best selection for safe and secure relocation. Business travel can be exciting and it is even more exciting when you can stay in boutique hotels King of Prussia. At Back Door BBQ Catering our focus is on providing truly amazing food for your catered affair that you can pick up at your convenience. Guests who attend your event will remember the food for years to come and you will remember our efforts to make your day a great success! Our veteran staff will assist you at every stage of your planning to exceed your overall expectations. 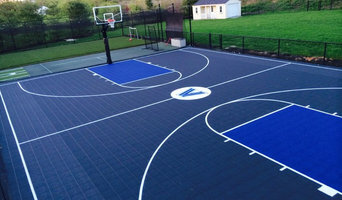 Backyard court builders also keep tabs on the latest in athletics technology to provide you with the most updated options possible for your Doylestown, PA court. With your input, they’ll design a space that’s customized for your wish list and your home, then handle the construction. When the inevitable wear and tear starts to show, your Pennsylvania backyard court builder can repair, resurface or replace the aging elements. To ensure consistent quality and style, your backyard court contractor might also work closely with a Doylestown, PA general contractor, remodeling contractor or landscape professional. Here are some related professionals and vendors to complement the work of backyard courts: Outdoor Play Systems, Landscape Contractors, General Contractors. 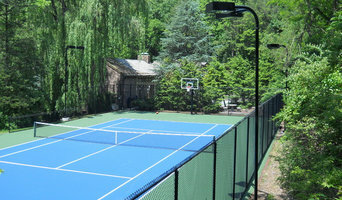 Narrow your search in the Professionals section of the website to Doylestown, PA backyard courts. You can also look through photos to find examples of Doylestown, PA courts that you like, then contact the contractor who worked on them.